Welcome to the Spitting Pig Derbyshire. 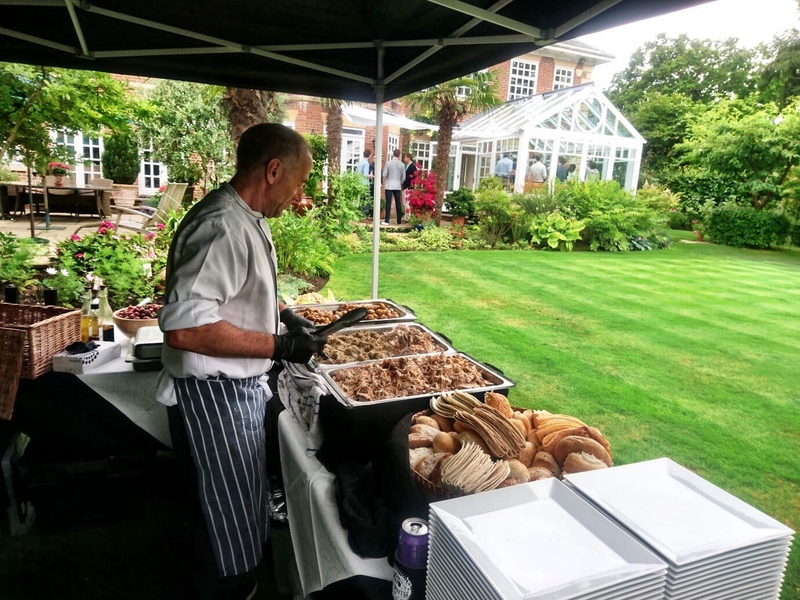 We are an event catering company serving the entire area county and its surrounding areas in the East Midlands specialising in Hog Roast Catering. We have been operating as a business now for over a decade, and we aim to use those years of experience in providing our customers with the very finest in hog roast event catering. 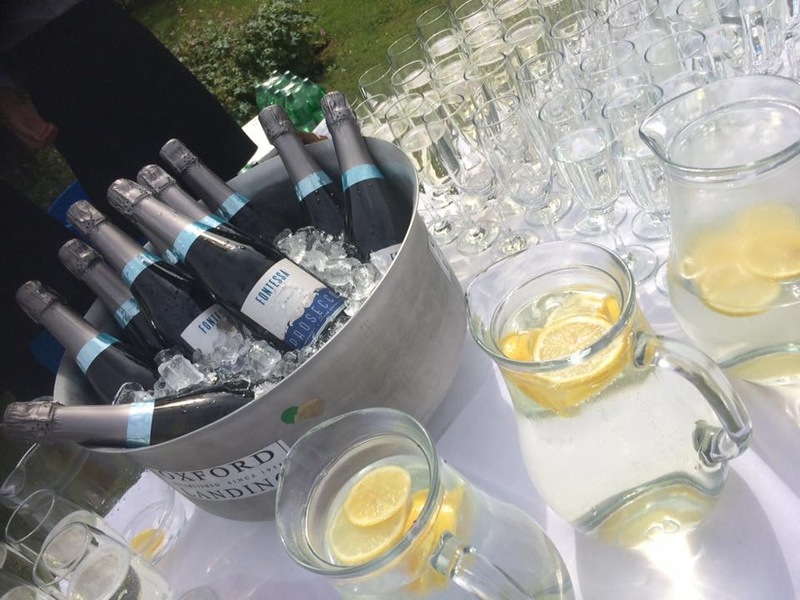 We cater for an eclectic variety of events, ranging from birthday parties and anniversaries to business functions, team building events and weddings. At Spitting Pig Derbyshire, we can cater to all budgets, big or small, so if you’re looking for a simple but delicious snack-in-a-roll or a hog-roast-in-a-roll, or formal sit down meal with waiting staff and silverware, we have you covered. We take pride in the fact that we are such an adaptable company. We like to think that the only limitations posed to us are the imaginations of our customers. A Hog Roast is a wonderful way to celebrate any occasion. The smells and aromas produced will leave your guests salivating, and it’s an incredibly sociable way to cook, especially if you are spit roasting the hog. The spit roasting method sees the whole pig skewered on a pole and rotated over a slowly burning flame. It is always sure to draw in a large crowd and get people talking, and is perhaps a very useful method to break the ice at gatherings where people are still trying to get to know each other. One of the reasons for our versatility is our custom designed and built hog roast Derbyshire machines. We have a number of different ways to cook using the machine, from the traditional spit roast to the versatile hog roast option. All of our machines are both lightweight and portable, have wheels and do not require electricity. This essentially means they can be used to creative adventurous menus anywhere. We have a number of different attachments to our hog roast machines that allows us even more possibilities when cooking. For example each and every one of our machine can be turned in to barbeque to cook party favourites such as fish, steaks and vegetables. We also have the chicken spit attachment available which allows us to cook chickens, turkeys, beef and a whole range of other food items meaning truly the possibilities are endless. Of course, you could also choose from one of our menus. Our menus are event-specific, and include wedding options, corporate hospitality options and private party options. All options have a wide variety of different courses and appetisers and are tailored in a way that suits everyone. 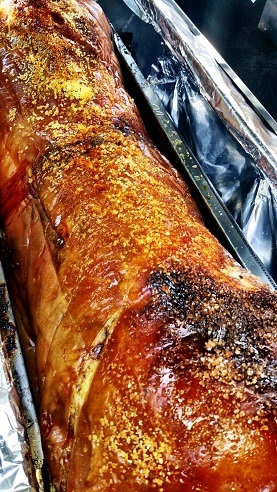 We are convinced no one will be disappointed or left wanting with the Hog Roast Derbyshire. 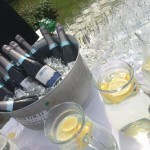 If you choose us as your caterers, we will always arrange to clear all rubbish from site, and provide waiting staff, event organisers and chefs. All of our staff are highly trained in the field and dress smartly for the occasion. 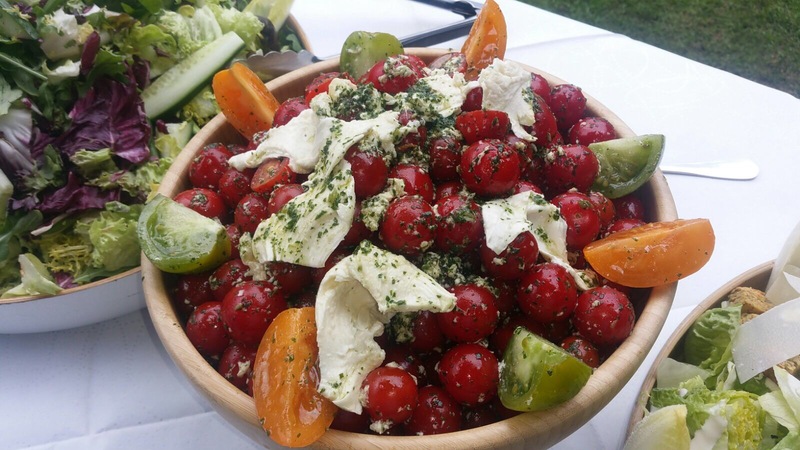 Choosing the catered option is a very convenient way for you to enjoy your day. Imagine the scene – you have hundreds of guests arriving at four pm. You have just risen out of bed at 11am after a nice long lie in, with not one worry or feeling of self-doubt in your mind. The catering team are setting up their equipment outside, where there are tables and chairs. You walk downstairs and open up the morning newspaper, safe in the knowledge that our team of experts are taking care of everything for you. You quite literally won’t have to lift a finger. It’s a great way to enjoy your day if you wanted to take all of the stress out of the occasion. You are entitled of course to go it alone and go self-catered by simply hiring one of our hog roast machines. You will be the talk of the town as you stand before all of your guests and proudly spit roast the pig yourself. We can assure you that using our machines is incredibly easy, and our machines are accessible to even the most novices of chefs out there. We provide an instructional DVD with all of our machines. Our machines are safe in that they are CE marked products, meaning they adhere to health and safety laws in Great Britain. You know you are getting the best quality food and equipment when you go with the Spitting Pig. To hire out one of our machines or to receive a quote for our award winning catering services you can email our sales team at sales@spittingpigderbyshire.co.uk, get in touch with us over the phone by calling us on 0800 587 5899 to find out which of our machines is more suitable to your event requirements, or take a look at Hog Roast Machine for all the highest quality pig roasting machines. You might now be wondering just where the meat and ingredients that we use for our hog roasting events comes from. We are delighted therefore to inform you that all the pigs we use are locally reared and sourced from farms within a ten mile radius of our base. 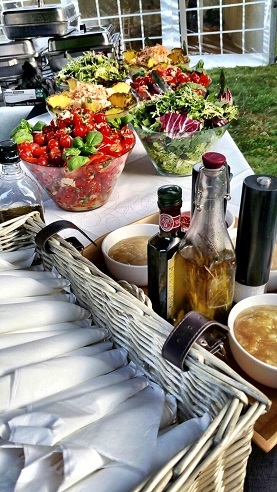 Added to that, all the accompaniments that we provide such as salads and other vegetables are completely fresh produce, meaning that with us, you are getting the very best of British. Contacting us couldn’t be easier. On our website you will find a contact form, where you can fill out your basic details as well as the time and date of your event. You will also find a telephone number and information on how to contact us by post. Please feel free to take a look around the rest of this website to familiarise yourself with our business and find out what we can offer you. Don’t just take our word for it that we are the right caterers for your event. If you need any more persuading that, then why not take a look at the testimonials section to see what previous guests thought of our service. We also have a blog on our site so you can stay bang up to date with what is happening at the Spitting Pig, or you can visit the latest news section to keep informed with all of our latest offers. We can’t wait to cater for your hog roast Uttoxeter event. We are positive you will join the ever growing list of guests who for the last decade have been absolutely delighted with our services. Book with us today, and let us take care of tomorrow.